Some love them, some hate them. Voice messages, also known as voice notes, on WhatsApp and Co. often replace text messages, whether you like it or not. A study by the German Association for the Digital Economy has now investigated the phenomenon. 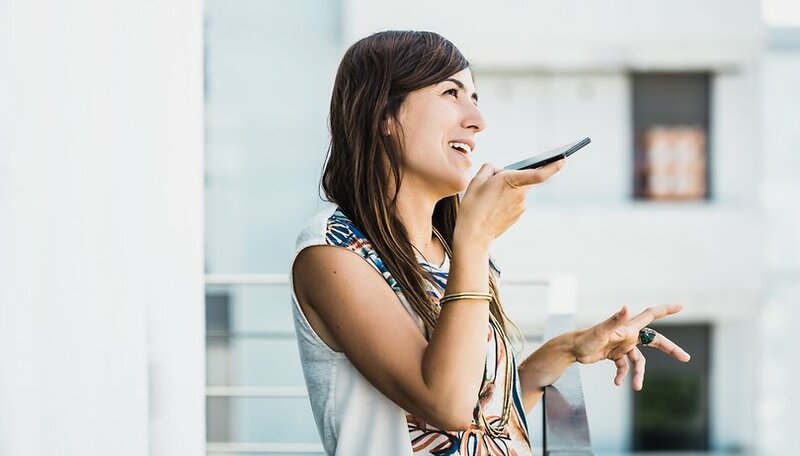 The results of the study on voice notes that can be sent and received by WhatsApp and other messengers show that they become a part of everyday life. Almost a third of respondents send voice messages daily or at least several times a week. However, there are also many who refused to follow the trend: almost as many participants said they never use voice messages. Among the advantages of voice messages, respondents particularly appreciate the shorter time they spend recording compared to typing. This is particularly important for 56 percent of the participants in the study. In addition, there are fewer misunderstandings with spoken messages and you are more flexible (in terms of time) compared to a phone call. Others also cited being able to express their feelings better with voice notes. But where there's light, there's shadow. 40 percent of participants complain that listening to voice messages takes too long. Point two of the disadvantages is quite unexpected: with spoken messages children would not learn and practice spelling. Critics also say you look "stupid" when you record the voice notes in WhatsApp and other messenger apps, and it's too cumbersome. We want to know your opinion: Are voice messages the most practical thing in the world or are they annoying? Let us know in the comments. My biggest complaint is the data and download times. SMS for text is extremely efficient datawise and lots of people have unlimited talk and text plans. Many fewer people have unlimited data plans, and virtually no one has unlimited data with zero throttling. Try dictating a text and playback using the voiceover options in your accessibility menu. All the convenience of a voicememo but the data usage of a text. For those who complain that listening takes too long: speed it up. Pretty much every ap allows increase playback rates. Even youtube has 1.5x and 2.0.
they better offer a transcription option for the deaf.